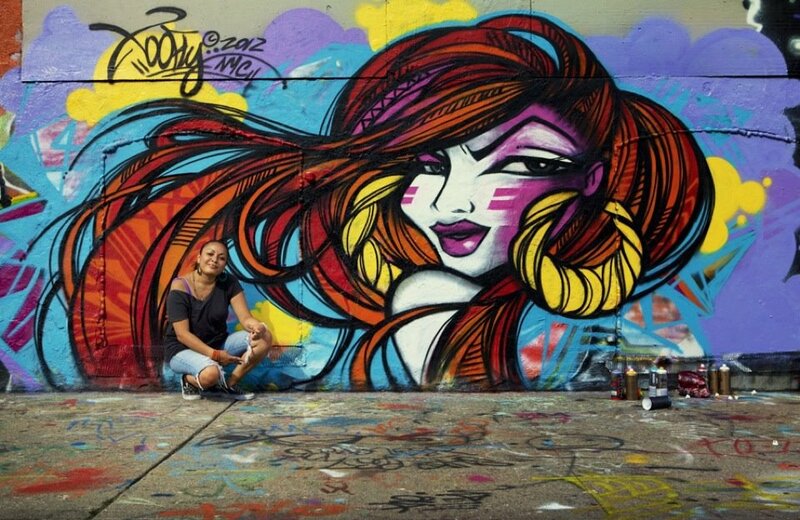 I never met TOOFLY but immediately knew her work when I’d see it dominating a wall at the graffiti mecca 5Pointz or sharing space with other artists’ pieces on a wall in the East Village or beautifying a spot in the popular Brooklyn neighborhood of Willamsburg. 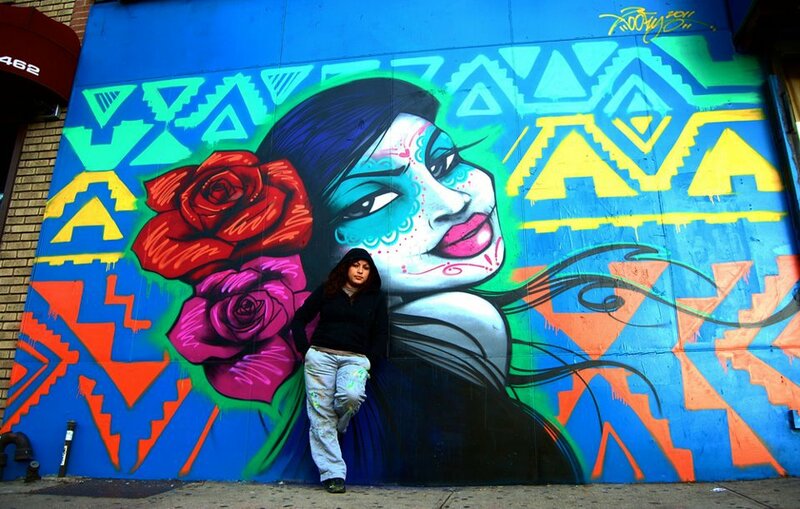 In my ongoing quest to learn more about the talented souls who create street art around the world, I was fortunate enough to recently land the following interview with TOOFLY before she returned to Ecuador from NYC. What a true joy to encounter someone so gifted yet humble and willing to share much positivity through her art and life. NOTE: All photos courtesy of TOOFLY. 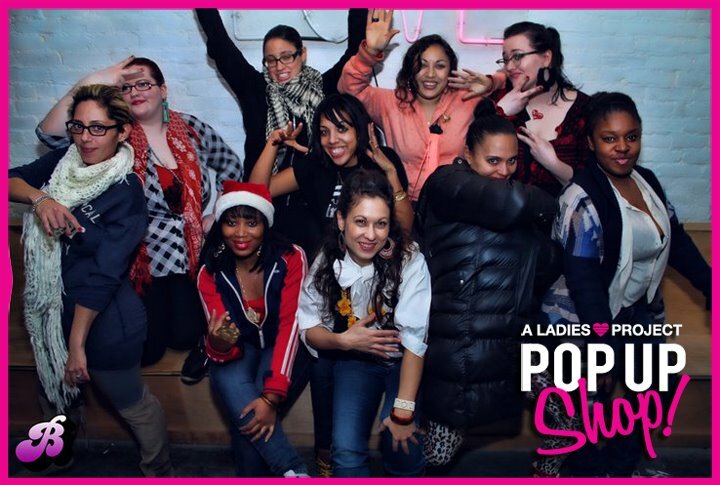 TFM: Let’s talk about the Ladies Love Project and Younity, the female urban arts collective you co-founded in 2007. What do you hope to achieve through each endeavor and why were they formed in the first place? TF: The Ladies Love Project™ came together because I have, for many years organized artists, and designers for “marketa” style events. I have a lot of fun organizing because it helps bring together handcraft artists who make niche style items. Many of which you can not find anywhere else because they are most of the time “one of a kind”. This helps keep the hand making traditions alive that help all of us connect on a more personal level. Especially in a mass-produced consumer world. The Ladies Love Project™ helps create a genuine experience between artist creator and the person who appreciates and purchases their goods. There’s something way more special about it, and something I truly enjoy to do and be part of. 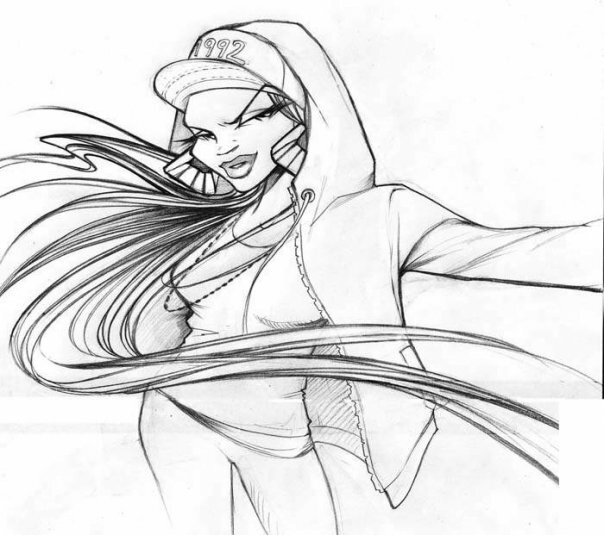 We have a great team: Patty Dukes, & Rephstar of Circa 95′ and Allison Maritza aka A.Mari from Fokus. All artists and organizers themselves. Younity™ was founded in 2007 a time when I had a lot of free time to do almost anything. 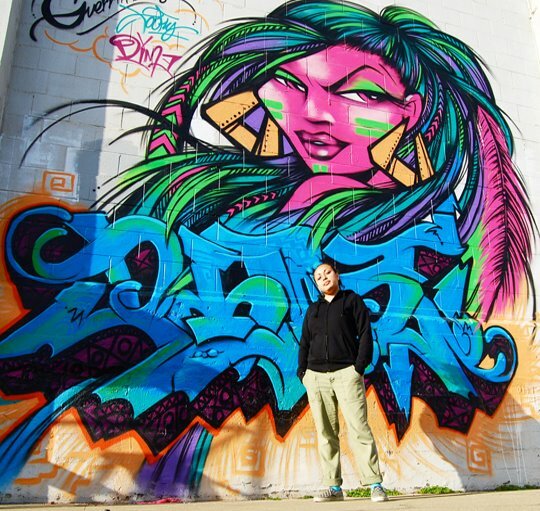 I’ve been painting with other women in a collaborative format since 2002 when I first became public with my work at the Graffiti Hall of Fame. I met Lady Pink and Muck for the first time that year. 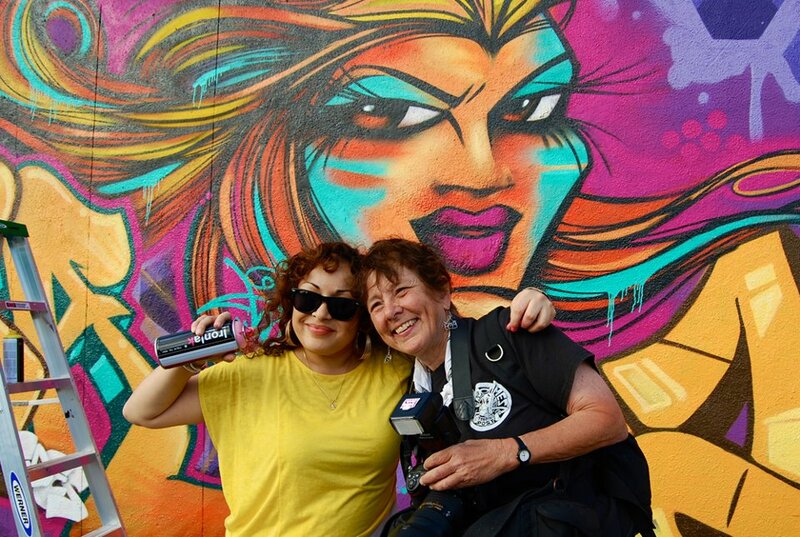 Lady Pink was a pioneer in getting us together on walls, and since then I had a chance to meet many more women which made it easier to gather them up for creative projects. As this crew of women grew, our voice became louder. It helped us get our female shine and collective message out more. In 2007 it all came together under one umbrella and “I” gave it a name. A name I was hoping to use on the street again as an alias to TOOFLY but felt fitting for what now was becoming a collective of women artists. 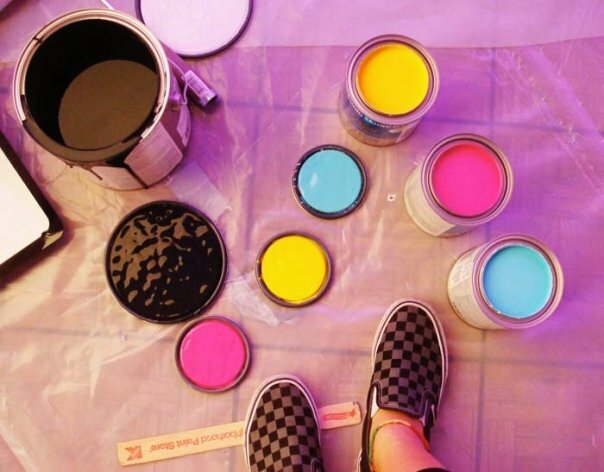 At that point we were able to promote ourselves a lot more, paint walls together, exhibit, and host workshops. Organizations covered our trips, supplies, and more. Having a collective was great the first three years. Then the recession hit and funding became scarce. It’s a little tough trying to be an artist and running an organization. It became more office work than creative work so I decided to take a break and focus on my art and personal projects again. Since then many other women have started collectives, women like FEW&FAR who were inspired by what Younity started. We now each continue to spread the message, but I’m on a long break in organizing any future events for Younity. I am happy and proud Younity inspired and empowered many women to come together. 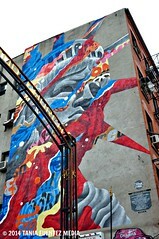 TFM: You have such a distinctive talent ranging from illustration and design to fashion and graffiti. 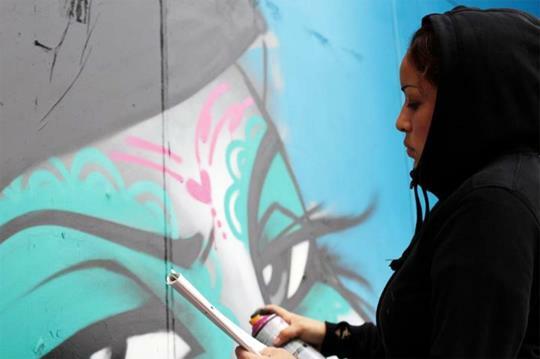 How did you get started and find your voice in the male-dominated world of street artists? Ever think it would take off the way things have professionally? TF: I’ve been drawing all my life. 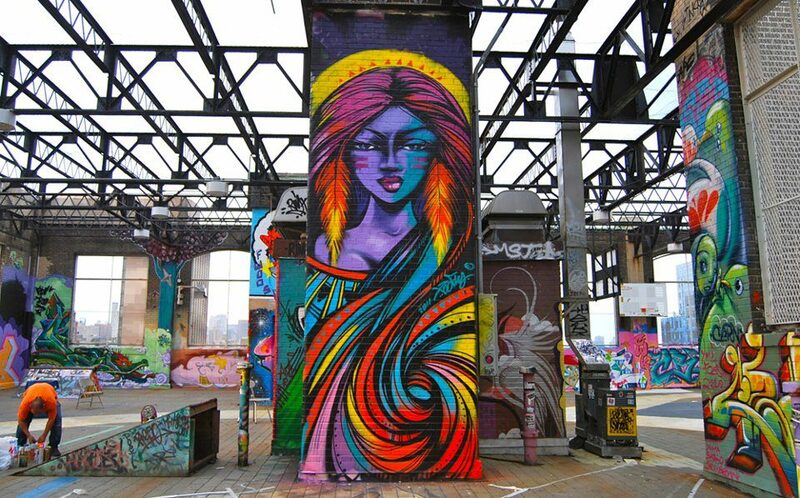 When graffiti came into my life I was transformed. It fueled my dreams and aspirations. I knew I could reach everything I envisioned because I was connected to all that was happening at the time. 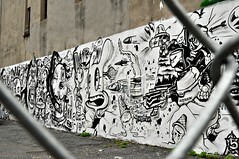 Hip Hop, graffiti, and an individual style that came from living in a diverse city like NY. I strived to become a great talent, but most of all a female talent. It has been important for me since I was a child for women to shine. I have had strong women in my life especially my mother who showed me what it truly is to be empowered. The graffiti male dominated world made it even more apparent because when I stepped out and into the scene I was alone. There was 1 or 2 more women but the culture makes you hard, and not as friendly. I felt the need to bring a different energy to this environment so that I can be conformable creating work, and most of have fun and build with other artists who were like-minded. I was not about the beef, or wars between crews, or none of that. I learned the hard way, but luckily street art grew and the life of an urban artist became so much more gratifying. TFM: Who’s the person behind your trademark female character which has graced the pages of magazines and books, as well as being featured in video and on the walls of graffiti mecca 5 Pointz and beyond. TFM: Which do you prefer: super fat caps or NY Thins (original skinny caps)? What’s the one thing you cannot live without during the creative process? 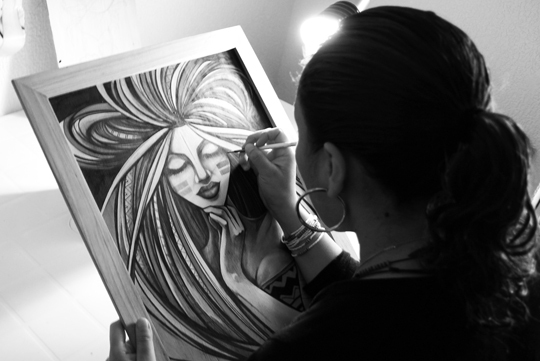 TFM: As a Latina artist, have you faced any challenges or obstacles that discouraged you to point of almost giving up? Who supported your vision early on? How does your cultural heritage factor into your artwork and design? TF: I have faced many things. Ugly things, because I am who I am. Woman, Latina, Triple Threat, whatever. There are evil energies out there in all shapes and colors. Here to teach you us lessons that help us grow. I have been able to overcome any adversity that has come my way. I fight to the tooth and nail so that I do not let anything affect or kill my spirit. I must have learned this from my mother at a young age. Letting go is a wonderful trait to have. It makes life easier as things fade away, change, and eventually die. It allows you to continue to live life, especially with more appreciation. If I have given up it has been for a short while, eventually I get back up and keeping moving forward. My mother, and family have supported me from day one. 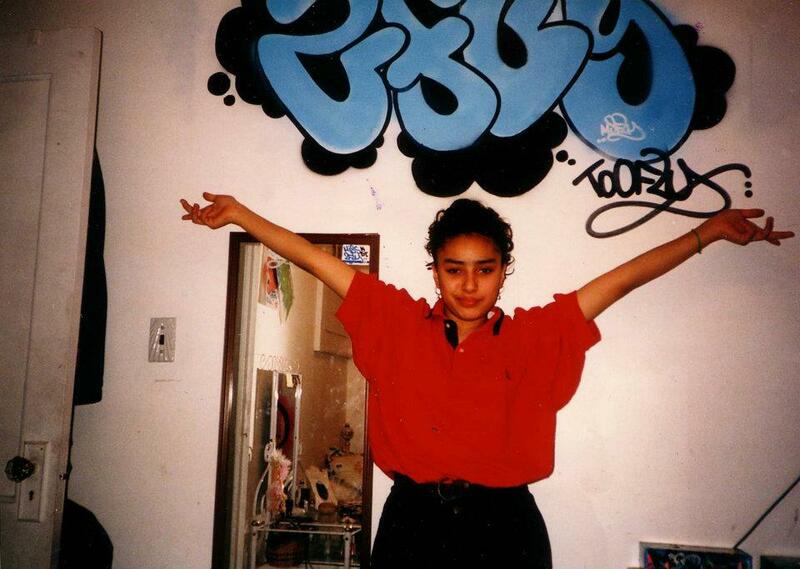 As a teen, my mom used to drive me around Corona, Queens, to catch graffiti tags at 3 a.m.! My cultural heritage ( Ecuadorian) is playing a big role in my work today. I am a lot more in touch with my roots than ever before, especially since I moved to Ecuador a few months ago. The colors, the people, and the environment are brewing something new in my heart. Much of it is still in process, but slowly filtering into my new works. TOOFLY’S ARTISTRY ON DISPLAY IN OAKLAND, CALIF.
TFM: Besides art, what are you most passionate about in life? Advice to other female artists hoping to make a name for themselves without sacrificing their integrity or dreams? TF: I love to travel, decorate, and cook a lot more than ever before. There is so much to be passionate about these days! I can make long lists about it. I am truly just in love with the new possibilities ahead of me. I am getting older and more sure of what I want in my life, and that feels really good. The advice I would share after all that I have gone through so far is to continue to stay on track with what makes you happy. Have respect for yourself, especially if you want others to respect you. You are intuitive. “Feel out” what makes you feel good, and what makes you feel bad ((( TRUST IT ))). Never let anything or anyone kill your spirit or keep you from all your ideas and dreams.